The Supreme Court on Monday expressed displeasure over the Election Commission not taking quick action against politicians for communal and hate speeches during the Lok Sabha campaigning and decided to examine the ambit of its power following submission that it was 'toothless'. The top court, irked over not getting specific answers to its queries on the powers of the poll panel to deal with errant leaders spewing venom, even threatened to ensure the presence of the Chief Election Commissioner before it within half-an-hour. EC swung into action after the court's observations and 'strongly condemned' the two leaders for their communal remarks and barred them from campaigning. While Adityanath was barred for 72 hours, Mayawati has been barred for 48 hours. The two have also also been 'censured' by the poll panel. 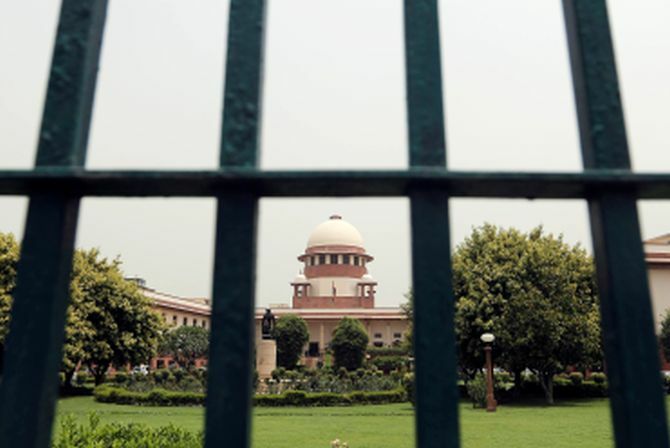 The apex court, on April 8, had issued notice to the Centre and the poll panel on the PIL seeking direction to take 'strict action' against political parties if their spokespersons make remarks based on castes and religions in the media in the run up to general elections. Referring to communal and caste-based speeches and remarks of political leaders, Mansukhani said he has filed the plea to 'maintain secular environment in the forthcoming Lok Sabha Election'. The plea has also sought setting up of a committee under the chairmanship of retired Supreme Court Judge 'to have close watch on entire election process and to check the loyalty of election commission'. The plea has sought a report from the poll panel on the measures adopted by it in holding 'corruption free elections'. Adityanath's last chance to prove himself?